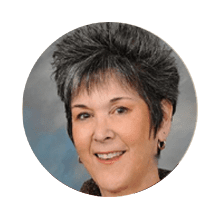 Johnni Hansen is a seasoned healthcare executive with over 30 years of experience in performance improvement, physician and patient education, disease management and compliance. She managed the Medi-Cal program for a large national health plan when it became the commercial plan in Los Angeles County under managed Medi-Cal. She also managed the cancer and diabetes programs in Southern California for one of the nation’s largest health plans as it reached 5 stars in the Medicare Quality programs. She has extensive background in hospital, medical group and health plan project management, programs, inter-governmental relations, compliance and performance improvement. Johnni has provided strategic consultation to medical groups, health plans and delegated IPAs around the Medicare Stars program. Her areas of special interests are physician incentives, performance improvement, member satisfaction and member reward programs. Johnni currently resides in Northern California where she continues to assist medical groups with customer service improvements, Medicare Star initiatives and health education.